I started researching what it would take to rewire the RETROvan’s cockpit, starting at the rat’s nest called an instrument panel. 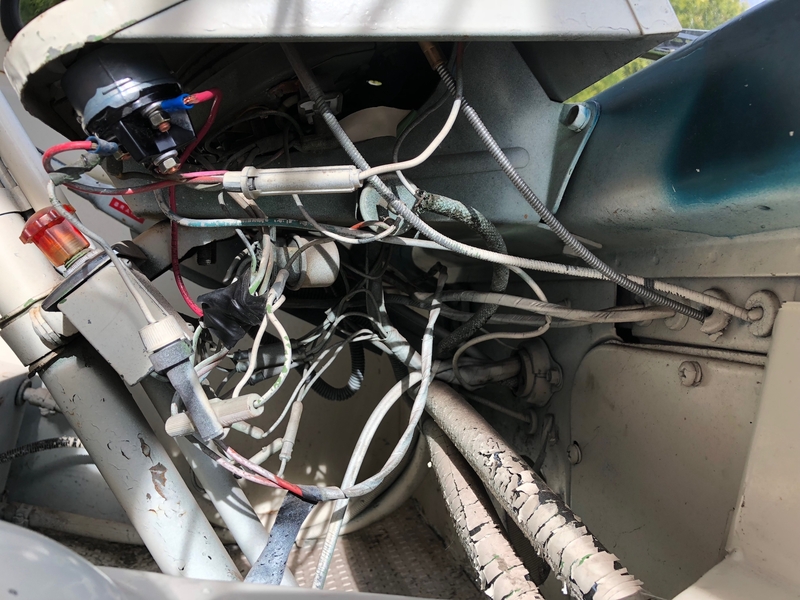 You may recall that the previous owner had the cab painted an off-white, but the painter didn’t remove or mask everything—namely all the wires and hoses. Ford’s original wiring diagram is only of limited value because it doesn’t show the actual panel that’s in my rig. But the basics are there and it looks like most of the components are easy accessible in the chassis. It would just take a long time to get this right. But I did find a fairly universal aftermarket kit that might just work. 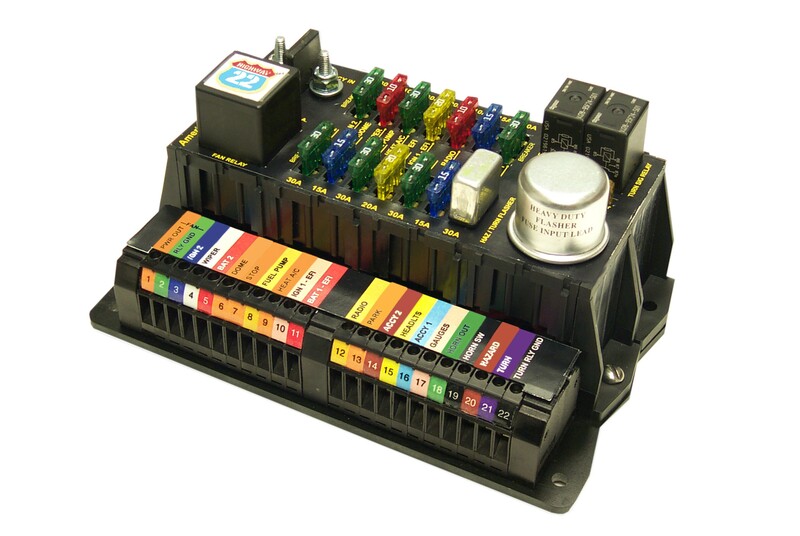 This one includes a fuse panel for added convenience and safety. 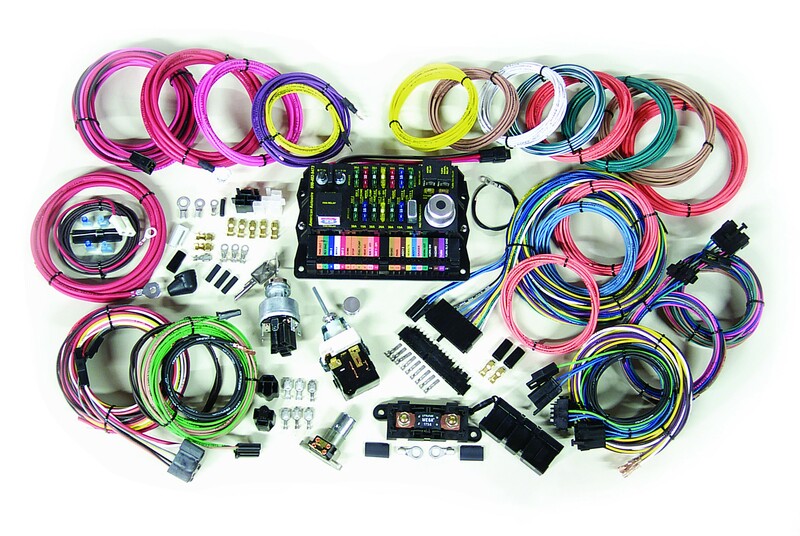 It’s made by American Autowire as the Highway 22 kit, for around $422. 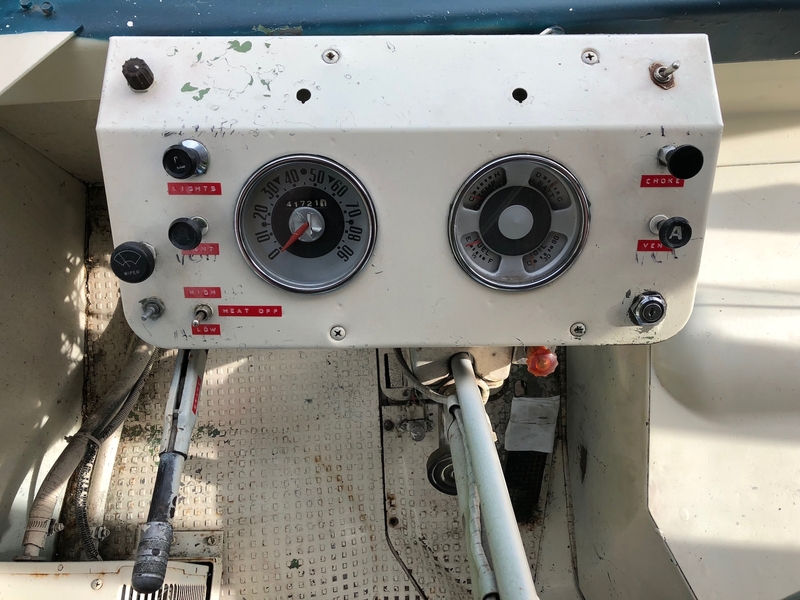 So my general plan for Phase 3 is to remove all the steel cockpit panels I can, disassemble the instrument panel, strip and paint everything, put it all back together and then rewire everything clean, using the proper color-coding. I just haven’t decided whether this is a DIY job or one for an automotive electrician. 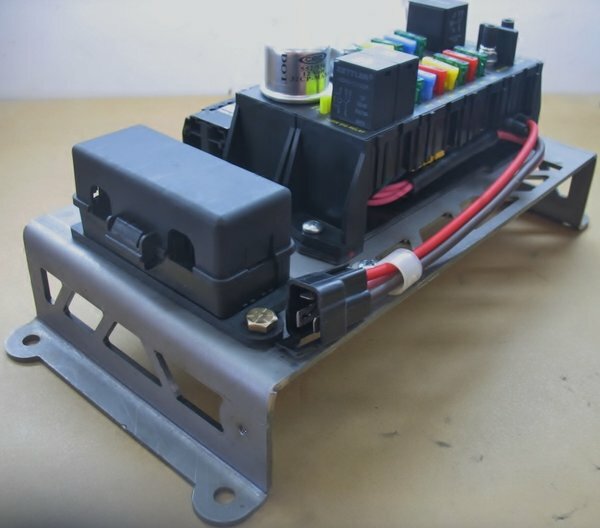 Here’s a cool fuse block bracket made by HPI Customs for $65. All the front windows and seals will need replacement too. But that’s a job for any auto glass company. I also lucked out today and found the 3/4″ drain hose I need for the galley sink. I bought six feet at $2.59 per foot at West Marine. So soon I’ll tear out the galley one last time to finish connecting the water tank, pump, faucet and drain. Need a new gas pedal, too. Getting to the end, or does it ever end . . . Enter your email address to receive RETROvan upates.